Office space prices ranging from RM250 - RM10000 per month. These exclusive furnished offices are 150 sq. ft. in size making them suitable for up to three people. They are located in Berjaya Central Park with direct views of the KL Tower and provide tenants with a Grade A corporate building in the centre of the city. This centre is conveniently located in Mid Valley City, the premier commercial and retail development in Malaysia. The exclusive shopping centre, Mid Valley Megamall, is within the same complex and features a diverse range of retail outlets. Its strategic proximity to the city's conveniences makes it an ideal business address. High quality office suites are complemented by dedicated support services. Benefitting from a prime location in the heart of Kuala Lumpur, this Damansara Heights penthouse office space sits atop is a Grade A office building with MSC Cyber centre status, directly outside the Semantan MRT station. Designed to encourage social interaction and collaboration through multiple common areas and event spaces. Situated in the prestigious area of Damansara Heights, these exclusive office suites are ideal for one or two people and are fully furnished. The area is populated by shops, banks and a number of restaurants. Located in the business park of Kuala Lumpur, this modern building offers a selection of office spaces modernly furnished and decorated to a high standard. The building is surrounded by luxurious hotels, restaurants, cafes, bars, shops and numerous amenities, and is located within walking distance of the station and is easily accessible. Towering majestically over Kuala Lumpur's skyline, Menara Maxis sets the benchmark for modern business operations. This centre enjoys a stunning view of the city centre and also close to all the amenities. Excellent transport links via Light Rail Transit (LRT) and major roads. This leased office offers both private serviced and co-working office solutions and is fully equipped to meet all the needs of a modern business. It features a high-quality and luxurious fit-out throughout, which is sure to leave a lasting impression on clients. 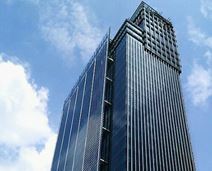 It is located in Kuala Lumpur City Centre (KLCC), the central business district of Kuala Lumpur. An exclusive six-storey retail centre and Mandarin Oriental Hotel is located on the same building. Virtual office options, private offices and co-working solutions are available. The space is well-equipped with high-tech infrastructure such as; videoconferencing, A/V gear, VOIP phone system and telecoms. Situated in the New Golden Triangle. The space enjoys fantastic connectivity with leading hubs such as Damansara, Bangsar and Mid Valley City. It is a 13 minute drive to Sempang Airport. Close-by, there are many shops, bars, restaurants and cafes. This well connected centre, with seamless connection to a wide variety of amenities, is the perfect location for you to establish your business presence. Whether you're looking for permanent or casual options, this centre offers both private offices and co-working memberships. On-site, there is a range of facilities to access, from strong administrative support for a range of key areas to an in-house cafe, complimentary beverages, and different workspace types for you to flourish. This Smart Grade A office building designed by award-winning Foster and Partners provides a prestigious and convenient corporate office space location within Kuala Lumpur"s Golden Triangle, an area home to several notable multinational companies and world class developments. 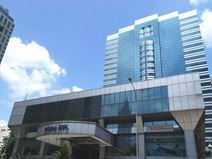 The centre is well connected to public transport links and is just moments from the Ampang Park LRT Station as well as the KLCC. 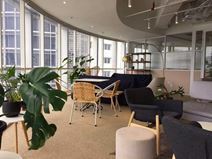 Based within a 35-storey tower in the heart of Kuala Lumpur's "Golden Triangle", this centre offers a variety of flexible office solutions - whether you need a private office for a team of 10, or just one coworking desk. Do you work on the go, but need somewhere to have packages delivered? This space offers virtual office packages at an affordable cost. Ampang Park metro station is just a few minutes from the building, offering you all the convenience of local public transportation. This centre is located in a prime area in Kuala Lumpur, close to prominent hotels, shops, restaurants and great transport links. The centre provides a range of serviced office solutions, along with practical and convenient administrative amenities. Ample car parking is also available to clients. A polished, smart office space. Co-working and private office options are available. Co-working includes both dedicated and hot desking solutions. The onsite staff are there to help with all administrative duties. Weekly events are on offer, and are a great way to build team strength. Situated in Bukit Bintang, in Kuala Lumpur's central business district. Raja Chulan monorail station is a 16 minute walk from the space. There are also a number of bus stops located nearby. In the surrounding area, there are many cafes, restaurants, and hotels. Strategically located within the business and shopping district of Kuala Lumpur, this centre provides high-quality office suites complete with business lounge, private exhibition lounge, meeting facilities, safe deposit boxes and the latest SIEMENS IP Hybrid PABX system. Surrounded by 5-star hotels, fine-dining restaurants/cafés/bars and also Malaysia's most celebrated shopping mall, Pavilion. Located on the 11 Level at Menara Ken TTDI between the central business districts of Kuala Lumpur, Damansara and Petaling Jaya which offers a nice view over Kuala Lumpur. Around the building are several bus stations to make it easy to reach the workspace by public transport. An in-house cafe and an event space for up to 130 people as well as boardrooms, workshop space and discussion rooms are included in the workspace. The centre provides a variety of office spaces. The centre provides high speed internet, kitchen facilities, meeting rooms, printing station, private phone booths, concierge services, bike storage and storage lockers for your daily office use. You can easily access to the centre by bus (KL 99, KL2298, KL2303) or by train (Bukit Nanas Monorail station or Dang Wangi LRT station). There is just minutes walk to the bus and train station. With a rooftop swimming pool and fantastic views of the city this fully furnished and premium lifestyle office space is a mere 15-minute drive from KLCC. Offices range from 100 to 1,200 sq. ft. while a 1 million sq. ft. Shopping Mall is just a short walk away. Located in a strategic area in the centre of the Taman Desa township this premium grade and iconic building underwent extensive renovation work in July 2015. All office units are corner plots and have unobstructed views over the Klang Valley. The office building is also close to leisure facilities, including a major recreation centre which features a football field, tennis courts, jogging track and community centre. Right in the middle of the city centre next to Medan Tuanku monorail station this centre is in a lively neighbourhood, home to businesses from a range of different sectors. Offering sophisticated co-working space curated to your business needs. This centre provides a prestigious business address in a superb location, easily accessible and close to restaurants, hotels and more. This is a contemporary work environment, with a full range of business support services available. The centre is in Jalan Intisari Perdana. The centre is surrounded by a lot of restaurants, fashion store and pet store which provide a great access for you may need during working day. The centre provides a lot of amenities such as business lounge, full pantry facilities, cleaning services, meeting room, telephone answering, complimentary broadband internet and twenty four hour monitored by CCTV surveillance for their members. An exceptional work-space offering private offices, co-working solutions and virtual office options. Meeting rooms are available to use. Postal facilities and telephone answering is included. 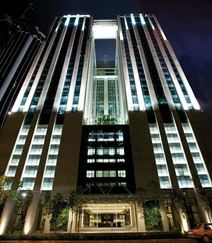 Situated in Kuala Lumpur’s central business district. Raja Chulan monorail station is an 8 minute walk away. Close-by, there are numerous restaurants, bars, cafes, and shops. Secure parking is accessible at the centre. Conveniently located with easy access to highways, eateries, banks and retail, this serviced office centre provides a variety of workspaces available for immediate occupation. A range of support services is also available to help your business succeed. Conveniently accessible from major highways, this centre provides 8,200 square feet of office space in private suite configuration. Offering fully furnished office suites, meeting and discussion rooms, pantry and much more with a concierge service on the lobby that provides a prestigious and secure environment for your business. Situated in the famous and thriving expat community of Mont Kiara, this centre is well connected to international schools, businesses, and upscale food and beverage outlets to cater to your needs. Strategically located in one of Kuala Lumpurs affluent sectors and within easy reach of the highways, this business centre was the first of its kind when it incorporated retail facilities alongside the office solutions. Boasting a charming courtyard and access to a range of lifestyle amenities, this centre is great for those wanting to balance their work lifestyles. Onsite you can access business amenities like telephone answering, business class printing and copying facilities, and complimentary broadband productively work. Mont Kiara, Northwest Kuala Lumpur is where you will find this collaborative centre. Accessible via the Sprint, NKVE, Penchala Link, Kerinchi Link and Jalan Duta, and strategically located between the Kuala Lumpur CBD and Damansara CBD so conducting your business with outside businesses won't be a hassle. Connect with a community who shares your desire to succeed, and lives and learnt together. Strengthen your business while getting to know your neighbours - who they are and what they are trying to achieve, all while working under the one roof. With help of the community app it's not hard to get advice or feedback on your projects or arrange a happy hour meet up. Business leaders from a range of industries headline business masterclasses to share their knowledge, tips and tricks, and workshops to teach you new and exciting skills are are provided; from cooking to coding and everything in between! Well designed, modern, stylish and unique spaces with an appropriate balance of style and professionalism ensure the office space you pick impresses your visitors and associates. Whether you're looking for a hot desk, fixed desk or private office, this space has what you and your business needs to grow, strengthen and expand. 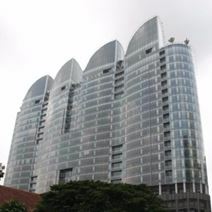 The centre is in Mont Kiara, Jalan Kiara. You can easily come to the centre by bus number 190. It is just eight minutes walking distance to the bus station from the centre. The centre is surrounded by big shopping mall, hotel and restaurants. The centre provides air conditioning, board room, WIFI, meeting room, IT support, 24 hour security, CCTV and pantry which provide free coffee, tea and snacks. Private offices, dedicated and hot desking options are available at this space. Meeting rooms are well-furnished with large tables, comfortable chairs, and sizeable TV screens. The onsite, multilingual staff are there to help with any requirements. A variety of beverages are on hand to keep you on the go. Situated near to the Golden Triangle area. Within a 10 minute stroll, there are a number of bus stops located nearby. Also, it is a 20 minute walk to Ampang LRT station. Onsite parking is accessible, for those to travel in by car. Close-by, there are a umber of hotels, shops, and banks. A dynamic office space offering private office solutions. There are reception and postal handling services available. Frequent community events are hosted. High speed WiFi is accessible throughout. Located on Jalan P Ramlee, in the heart of Kuala Lumpur. It is a 12 minute walk to Bukit Nanas Monorail station and 9 minutes to Raja Chulan. Nearby, there are manu shops, bars, cafes, restaurants and hotels. Surrounded by world-class hotels and serviced apartments, and just a short drive from a prestigious golf-club, this serviced office centre is located in a landmark structure, superbly equipped and offering a comfortable and professional business environment. With a direct pedestrianized link to a major shopping centre, as well as numerous transport connections, this stylish and comfortable serviced office boasts stunning views. The building also houses a 5-star hotel, and is easily accessible. Surrounded by plenty of cafes, restaurants and shops, this brand-new property offers affordable and professional office space in the Kuala Lumpur suburbs. Designed to cater to your every need, this space offers an open-plan workspace, where you can collaborate, socialise and network with your like-minded peers to innovate whichever sector you work in - creativity is a key factor in this space, and the design shows it. This award-winning office suites have been designed by an internationally acclaimed Australian architects, Layton Group. The building itself is of neo-classical architecture with a hint of modern touches, providing a classic outlook that harmonizes with its surroundings. Superbly located in the heart of Kuala Lumpur's Golden Triangle, these office suites are easily accessible and well-served by public transport systems. Plenty of entertainment options nearby which include the famous Capital Square and Heritage Row. With a central location close to major transport links, this business centre injects a burst of color and style into the heart of Bukit Bintang. This business centre offers a comfortable warm ambience, with flowers and butterfly themed serviced office suites. The building is located in the centre of the city's main shopping and tourism area and offers direct access to a number of bus and rail services. 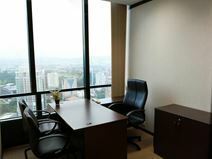 With easy access to the whole city and located close to the KL Tower and the headquarters of AmBank this small office is air conditioned and carpeted. 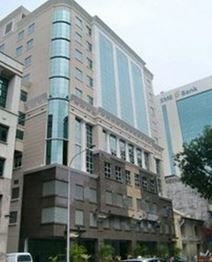 The centre is in Jalan Raja Chulan, Malaysia. The centre is very near to Pavilion Tower & KLCC shopping mall. There are seven-eleven mini market, many food stores and restaurants are around the building area which provide a great access to all you might need on your working week. The centre provides twenty four hours security, air-conditioning, furnished offices, parking lot , security system and telecoms for your daily business office use. This is an exclusive area filled with trendy cafes, bars and restaurants. This centre is set on the 7th floor of a modern building, and offers a dynamic work environment, with a range of flexible solutions to help your business succeed. Located in a friendly and prestigious area, this high quality building offers superb serviced offices in a comfortable business environment. A full range of business support services is available. This is a well connected address, with excellent transport links. Our fully furnished serviced offices are housed on the 15th floor, and we provide a full compliment of business services, including high-tech IT and a friendly, professional staff. Close to hotels, retail and restaurants, with great transport connections to the rest of the city. This property is just a short walk from the famous Hilton and Le Meridien Hotels, close to restaurants and shops. This building offers a range of office solutions in a renowned location. This award-winning tower is at the heart of the city"s main transport hub. A lively and committed team are on-hand to provide business support while the building is nestled among many top hotels and restaurants. Opening in August. An elegant, inspiring office space. Weekly events are held to encourage team building and community spirit. These include happy hours, talks held by experts in their field, to name a few. There are a number of scanners, printers/ copiers available. A daily upkeep conducted by professional cleaners, ensures the working environment is clean and presentable. Situated on Jalan Stesen Sentral. KL Sentral is just a four minute stroll from the space. This is the biggest transportation centre in Kuala Lumpur. In the vicinity, there are many hotels, restaurants, cafes and bars. There are also several convenience stores and supermarkets nearby. The centre is in Jalan Stesen Sentral which is the heart of Lumpur. The centre is around 5 minutes walk away from KL Sentral station. You can also come to Kuala Lumpur International Airport (KLIA) in less than 30 minutes. The centre is surrounded by restaurants, banks, temples, fast food shop and parking lot. The centre provides 24 hour access. 24 hour security, CCTV, WIFI, administrative support, comfort cooling for your daily use. A leased office is available within the exclusive Kuala Lumpur Sentral, the transportation hub of Kuala Lumpur. This is where Light Rail Transit (LRT), monorail, intra-city trains and buses converge, creating a mature business environment. The office is housed in a listed building which exudes real charm and has been awarded the prestigious Multimedia Super Corridor (MSC) status. Excellent IT infrastructure is also available in addition to the splendid location. A modern, fully furnished office space. The space offers dedicated desks, hot desks, virtual office space, and private suites. Air conditioning keeps the centre at a comfortable, cool temperature. Access cards and surveillance cameras ensure a high level of security. There is a reception area, where you can meet and greet you guests, and breakout areas feature comfortable seating. Located in the heart of KL Sentral, on the 21st Floor of the Q Sentral Building. Conveniently situated five minutes' walk from KL Sentral bus station and three minutes' from KL Sentral railway station, the centre is easily accessible by public transport. In the vicinity, there are a multitude of shops, bars, restaurants, and coffee shops. Many hotels are positioned nearby. There are also shopping malls, convenience stores, and banks. Based in the very heart of Kuala Lumpur, this space is well-serviced by public transportation - it is directly opposite Kuala Lumpur Sentral Station for mainline rail services. The office space itself offers a well-designed environment with the option of either coworking space or fully-furnished private offices - whatever you and your business desire. Comfortable breakout spaces and the convenience of local shops and cafes means working in this centre will always be relaxing. Emphasizing on flexibility and meeting modern business demands, this business centre has created a niche in the heart of Kuala Lumpur's commercial nexus. Exclusive and personalised services are provided to all clients. The location is superb - all of the city's major banks, restaurants and leading hotels are within short walking distance. Situated in a unique building in the retail and entertainment district of Kuala Lumpur, this centre has easy access to restaurants, shops and other leisure venues. Well connected to public transport with bus and trains in easy reach. Offering a variety of workspace options to cater to every industry, workstyle and budget and with an unbranded reception, concierge and secretarial services, complimentary tea, coffee, water, and free WiFi it's the perfect venue for your business to occupy. Opening soon - A space designed specifically to promote productivity, with month-to-month flexibility. Lounges are decorated with custom murals, and micro-roasted coffee and fresh fruit water are available in the breakout space. Offering space beyond desks, staff, and amenities in a community of forward-thinking companies with in-house events to connect you organically. Accessible via monorail, metro line and buses, this space is ideal for all worker types, with interests in any area sports stadiums, parks, aquariums, universities and the botanic gardens can all be accessed within a ten minute drive. A centre which is comfortably situated within KL's City Centre, with impressive access to transport infrastructure via sheltered walkways. In the neighbourhood you can access hotels, food and beverage facilities, and entertainment venues to keep you busy on the week nights and over your lunch breaks when you need a bite to eat. 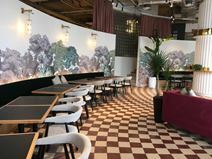 The space itself offers a selection of workspace options with temporary options like meeting, discussion, event, and private phone booths for when the occasion arises. Sumptuous look meets functional design in this attractive commercial development which caters for both short-term and long-term business travellers. Backed up by their unique 'Green and Smart Address', customized business support services are provided on a 24/7 basis in addition to hotel and private lounge facilities. An excellent location for public transportation and road infrastructure which seamlessly connects you to other parts of the city and beyond. Situated in the heart of the city, this centre offers contemporary design with wooden hues throughout the centre. A range of spaces are available to suit your business' requirements. The centre features copying and printing facilities, administrative support, meeting rooms and conference facilities equipped with AV equipment as well as friendly reception staff on hand to assist with answering calls and greeting clients. This Grade A CONQUAS certified building is a landmark in KLCC and is spread over 20 floors. Highlights of this flexible office space include and on-site café, air conditioning, car parking and 24-hour security. A prestigious location for your business. A superbly-appointed business centre is available for lease within the Kuala Lumpur Golden Triangle. The imperious KLCC and other prominent landmarks such as Avenue-K, Nikko Hotel, Corus Hotel and PNB Darby Park are all within walking distance. Ampang Park LRT is also nearby, providing seamless transport to the rest of the city centre. This business centre boasts dedicated broadband access, state-of-the-art digital phone system and excellent meeting room facilities with complimentary coffee/tea. Professional support services are always available on-site to provide assistance. Location doesn't come any better than this - Grade A listed office space at the junction of Kuala Lumpur's two busiest roads (Jalan Ampang and Jalan Tun Razak). Kuala Lumpur Convention Centre (KLCC), Impiana Hotel, Mandarin Oriental Hotel and Doubletree by Hilton are within the vicinity. Public transport is easily accessible through Ampang Park LRT station. Just 5 minutes walk from KL Sentral station, this business centre offers comprehensive business support to help your company succeed. A full range of amenities is available to clients. Just beside the KL Sentral Station this MSC-compliant office tower provides state-of-the-art Grade A office space that is just a 20-minute drive from the Kuala Lumpur Golden Triangle. The offices are column-free to provide an open and spacious working environment. The office building is attached to a prestigious 4-star Aloft Hotel and the Nu Sentral Shopping Mall - offering clients a plethora of choice for lunch breaks and unwinding after work. 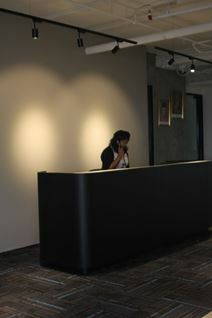 Modern, contemporary office solutions on offer in KL Eco City. Virtual office, hot desk and dedicated desk coworking, and private offices for small teams of one-to-five are on offer with excellent services to cater from reception, administrative, telephone answering and IT support. Connect to an integrated transport hub as well as numerous ramps and bridges, and a pedestrian bridge that connects you to The Gardens Mid Valley City. Home to The Garden Mall, this mall is where you will find a variety of food and beverage facilities, retail venues, and fitness clubs. 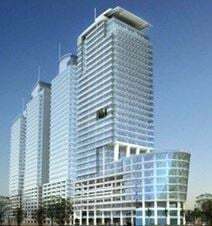 As part of a mixed-use commercial development, this Grade A office building is close to the iconic Petronas Twin Towers, KL Convention Centre and Suria KLCC. With office space on the 32nd floor and beautiful views from a sky garden and rooftop restaurant this location offers a great solution for local and international companies alike. 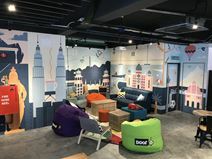 Providing a collaborative atmosphere in Kuala Lumpur’s key digital and entrepreneurial neighbourhood this centre is ideally tucked away in a converted bungalow and is currently home to a diverse mix of freelancers, entrepreneurs and high-growth companies. A contemporary serviced office is available within the vicinity of Kuala Lumpur Sentral, an upcoming business area with extensive transportation links to both the city centre and Kuala Lumpur International Airport (KLIA). It is housed in a landmark office tower which is superbly equipped with an auditorium, gymnasium and a recreational area. 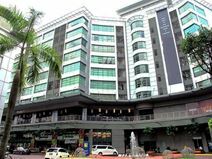 Adjacent to Hilton Sentral and Le Meridien Sentral hotels. 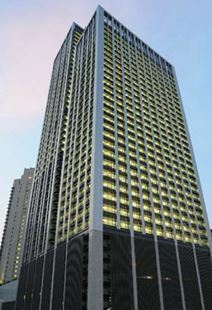 This business centre is in a prominent and strategic position at the heart of Mid Valley City. The building provides state-of-the-art IT infrastructure, office suites, meeting room and more. Home to a variety of business types, this lively and efficient centre is also in close proximity to shops, restaurants and luxury residential apartments. A simplistic, stylish work-space offering private offices and co-working solutions. There are free-flowing hot and cold refreshments. Locker and storage space is available. There is an auditorium and classroom that can be used. Situated in the core area of Batu Caves. In the surrounding area, there are many shops, restaurants and fast-food joints. Additionally, there are hotels, banks and service centres. Based in the 'self-contained city' of Mid Valley City, this luxurious office space shares the complex with other exclusive shops, specialty restaurants and leading hotels. It is located on the periphery of the city centre, providing effortless connectivity and excellent public transport options. The office is available on a fully-furnished basis. This office space has been recently refurbished and features high-quality furnishings and fittings throughout, offering clients a pleasant working atmosphere. 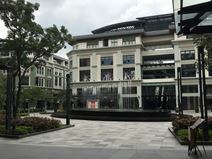 The centre is situated within an excellent location within Mid Valley City, an exclusive mixed-use development consisting retail, dining and entertainment facilities. The building is close to all major roads and there are also parking spaces. Occupying the penthouse of a prestigious tower in the Mid Valley City area this Grade A building provides ready-to-move-in workspace that has been beautifully designed, to offer tenants a premium luxury lifestyle coworking environment. The space offers flexible desks, private suites, meeting spaces and event venues. Strategically located between KLCC and Petaling Jaya. This business centre is at the heart of the vibrant Mont Kiara district, just 15 minutes north west of Kuala Lumpur. These flexible and fully-equipped offices are surrounded by a number of major international schools, SMEs and international companies. Located in the heart of Kuala Lumpur and just moments from an amazing array of local amenities and major corporations, this award-winning building offers boutique office accommodation as well as high-end retail and restaurants. This business centre is home to over 30 ready-to-use office suites that are strategically located in a mixed development location that consists of retail outlets and other shopping facilities, residential condominiums and office space. Nearby are the High Court, Martrade and Government Offices. Each suite comes fully furnished with desk, chair and pedestal storage so you can plug-and-play. Air-conditioning, broadband and access to private washrooms are also available on site. This serviced office centre offers a range of workspace solutions, and is set in a prominent building at the heart of the city's business district. With great views, good road and air connections, and some excellent places to eat nearby, this is the ideal address for your company's Kula Lumpur headquarters.